Attention openSUSE users and contributors! It’s time to exercise your vote and help the openSUSE team identify the bugs that need to be squashed prior to the openSUSE 11.0 release. On May 22nd, we’re having a bug voting day to help ensure we identify the most troublesome issues in Bugzilla under openSUSE 11.0. Please join us on Thursday, May 22nd from 07:00 UTC until 19:00 UTC. 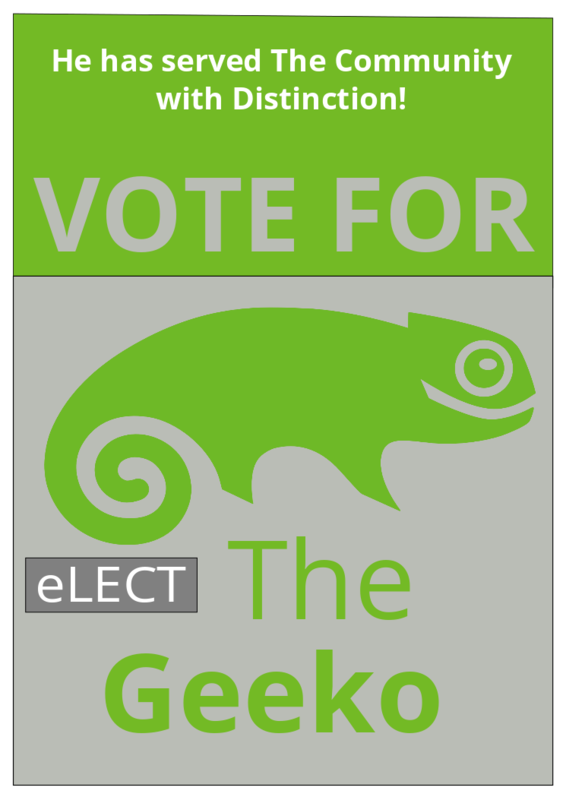 Check out the voting instructions on the Bugzilla and openSUSE wiki. We’ll also have live help available in the #openSUSE-Factory channel on Freenode. If you don’t have a Bugzilla account yet, you can sign up for one here. You know you want one! Sign up today! By prioritizing the bugs, we can ensure that we’ve got the right bugs in our sights for the openSUSE 11.0 release. Of course, you can help with bug voting at any time. There’s no need to wait for a bug day! Just roll up your sleeves and head over to the openSUSE Bugzilla and jump right in. Questions or suggestions before the bug day? Drop me a note at zonker@opensuse.org.